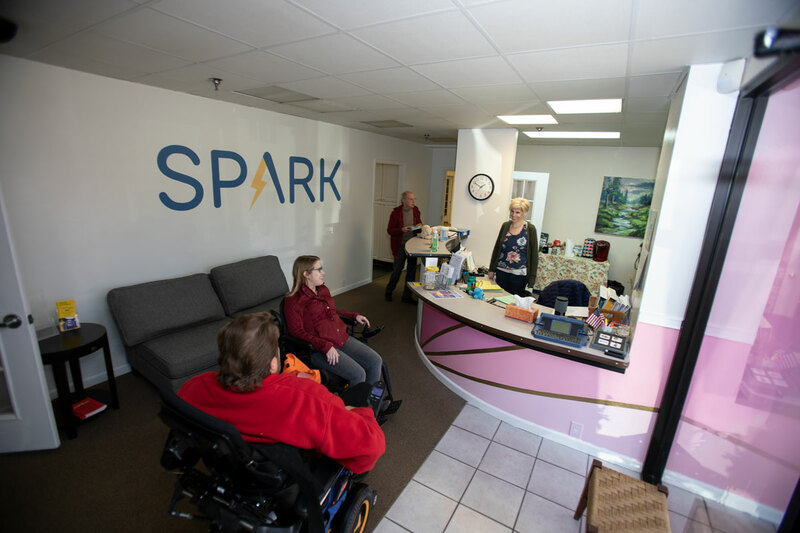 The mission of Spark is to connect people with disabilities in East Tennessee to the adaptive technology tools and services they need to live with maximum independence and dignity. People with disabilities can employ assistive technology devices, strategies, and training necessary to maximize their independence, productivity, and community involvement. Collaboration between individuals, caregivers, and service providers is critical to obtaining maximum independence and dignity. How we got started helping people with disabilities. Spark was founded in 1988 as the East Tennessee Special Technology Access Center by a group of parents, business people, service providers and members of the disability advocacy community who held an uncommon belief in the power of technology to help people with disabilities reach their goals. Over the years, Spark has provided a wide range of assistive technology services to thousands of people with disabilities throughout East Tennessee. Spark does not and shall not discriminate on the basis of race, color, religion (creed), gender, gender expression, age, national origin (ancestry), disability, marital status, sexual orientation, or military status, in any of its activities or operations. These activities include, but are not limited to, hiring and firing of staff, selection of volunteers and vendors, and provision of services. We are committed to providing an inclusive and welcoming environment for all members of our staff, clients, volunteers, subcontractors, and vendors.